A pair of big game hunters are visiting Africa when one of them spots a strange grove and suddenly decides to build a home there. What is the mystery of the grove and why does it seem to hold sway over his mind? This is a great little tale of weird horror, worthy of comparison to Algernon Blackwood or Arthur Machen, but written by neither. 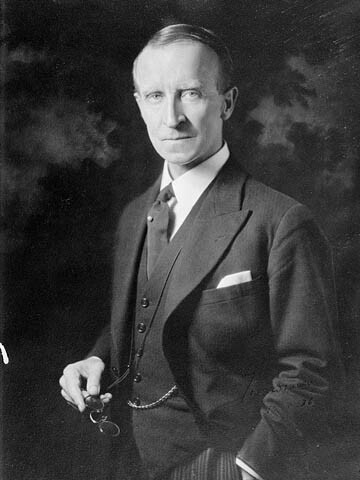 Instead, it was penned by His Excellency the Right Honourable Lord Tweedsmuir, the 15th Governor General of Canada and "the father of the modern spy thriller," John Buchan. His most famous work was The Thirty-Nine Steps. West Coast broadcast. 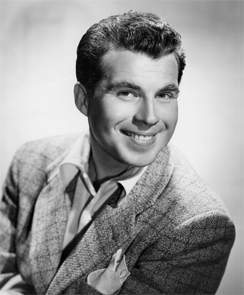 Paul Frees, William Conrad, John Buchan (author), Les Crutchfield (adaptor), William N. Robson (producer), Norman Macdonnell (director), Kaye Brinker, Raymond Lawrence, Eric Snowden, Cy Feuer (music conceiver), Eddie Dunstedter (organist). Two travelers encounter a man down on his luck who introduces them to the Suicide Club! This is a dramatization of the first story in a trilogy by Robert Luis Stevenson, collectively called The Suicide Club. The story first appeared in London Magazine (1878) and all three stories were later collected in the New Arabian Nights. The stories feature Prince Florizel of Bohemia and his sidekick Colonel Geraldine who infiltrate a secret society of people intent on losing their lives, and later deal with the further machinations of the club's founder. CBS net. Robert Louis Stevenson (author), Paul Frees, William Johnstone, Barton Yarborough, William N. Robson (producer, director, adaptor), Cy Feuer (music conceiver, conductor), William Conrad (announcer).